Ralph is a fine jewelry designer and manufacturer with over 50 years experience. He has created custom masterpieces and repaired all manner of fine jewelry for over 4 decades. 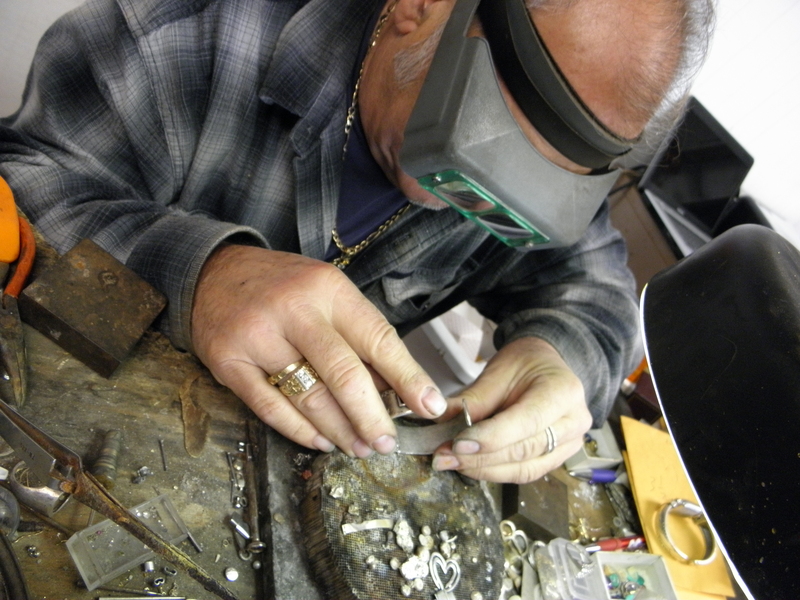 Ralph retired from a very successful jewelry business in 2008 but couldn't stay away from a passion he loves so much. Ralph has studied and honed his jewelry craft since the age of 14. Learning and perfecting a lost skill handed down from authentic Cuban bench jewelers. A bench jeweler is an artisan who uses a combination of jewelry-making skills to make and repair jewelry. The jewelry making arts can be subdivided into a very great many categories of specialized skills. Some of the more common skills that a bench jeweler might employ include antique restoration goldsmithing, stonesetting, engraving, fabrication, Wax Carving, lost-wax casting, electroplating, forging, and polishing. Find out how he can assist you with any and all jewelry questions.